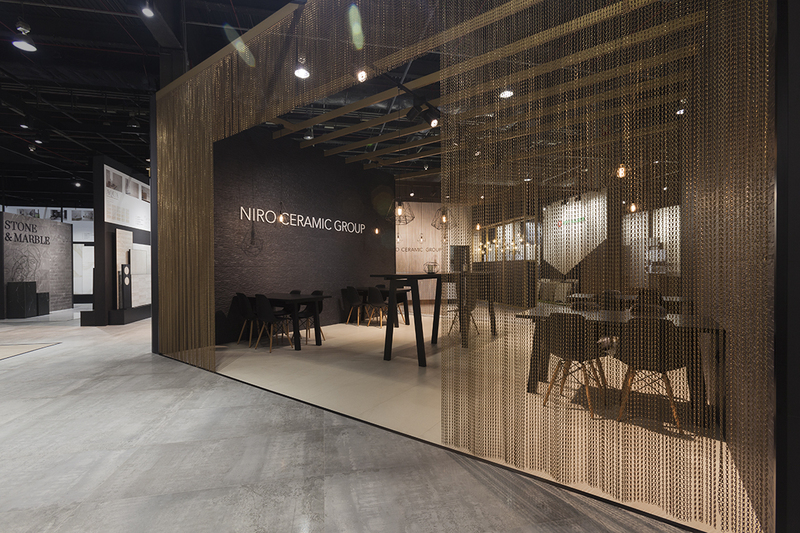 This was up to date the biggest stand we’ve design for Niro Ceramic Group at Cevisama. 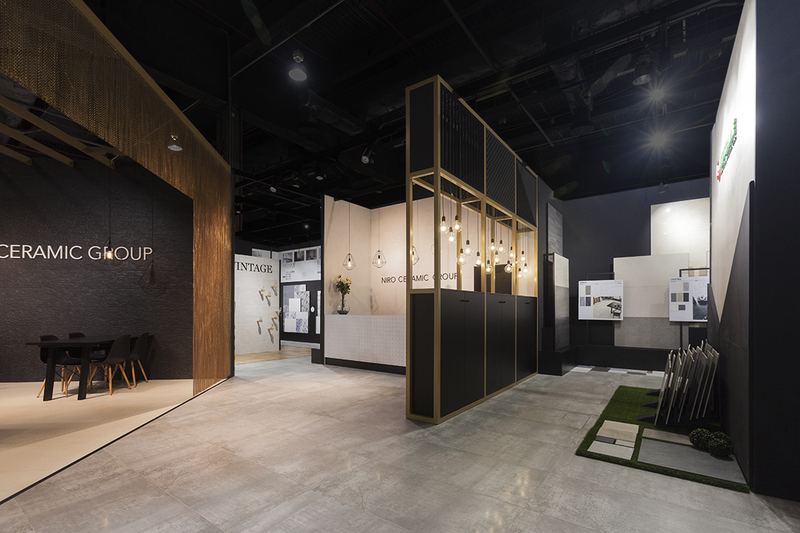 It gave us the chance to explore, develop and strengthen the group’s identity and presence. 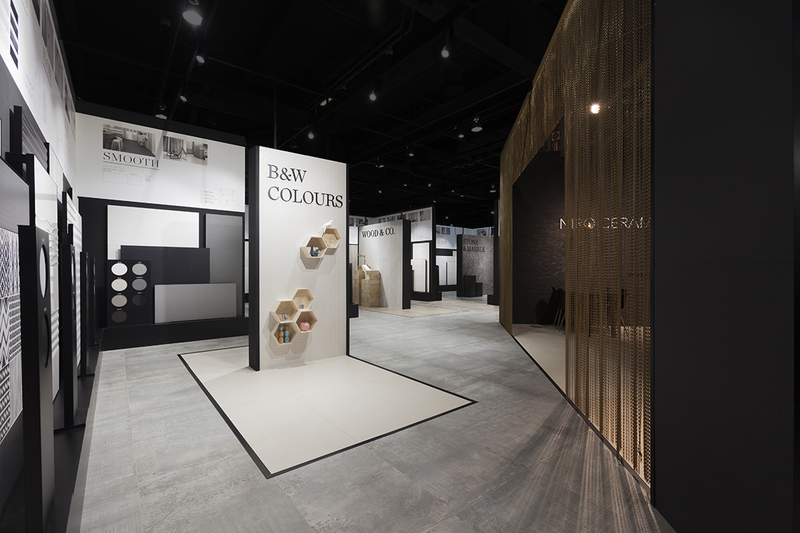 An eclectic industrial aesthetic is replicated from their editorial graphics to their interior design and exhibition system. 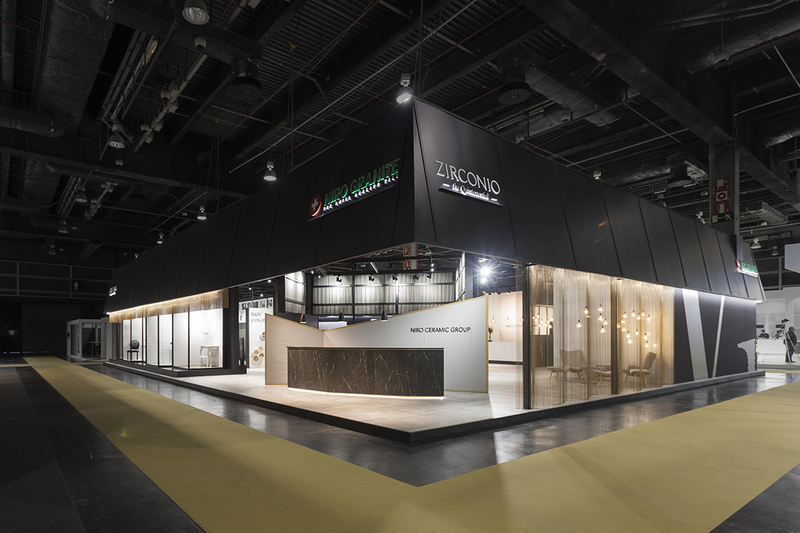 Their elegance resides in the combination of black, gold and texture, which makes lighting play a significant role. 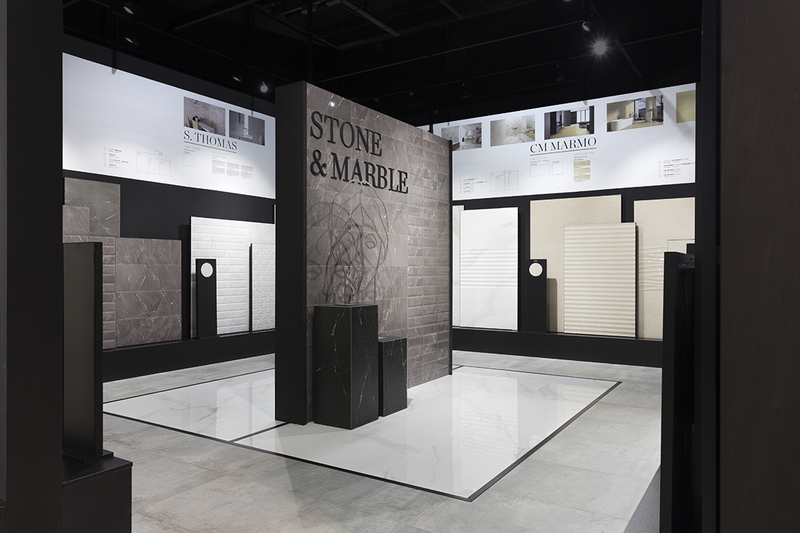 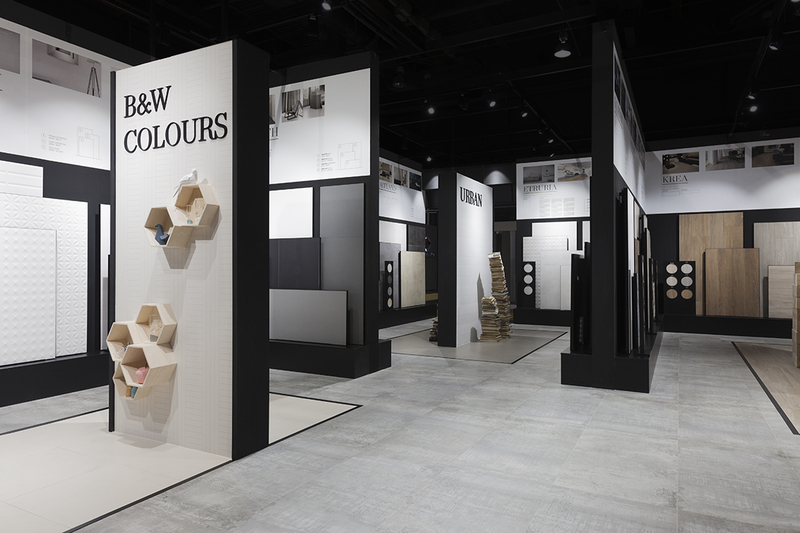 Their exhibition system was similar to the one made for Cersaie 2016, with different areas designated for each product category, panels system and a unique scene for each area. 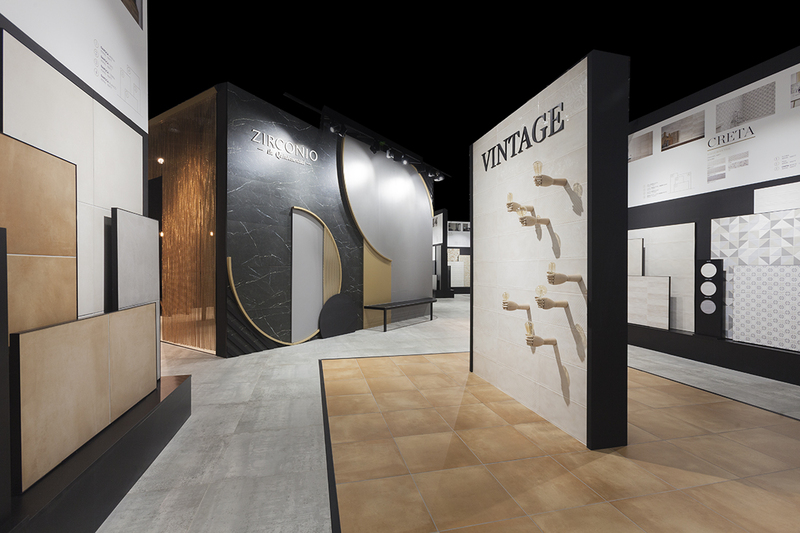 As a novelty in this stand, a new concept area was design to hold all Zirconio’s collections: the “Ceramotech”, a ceramic library. 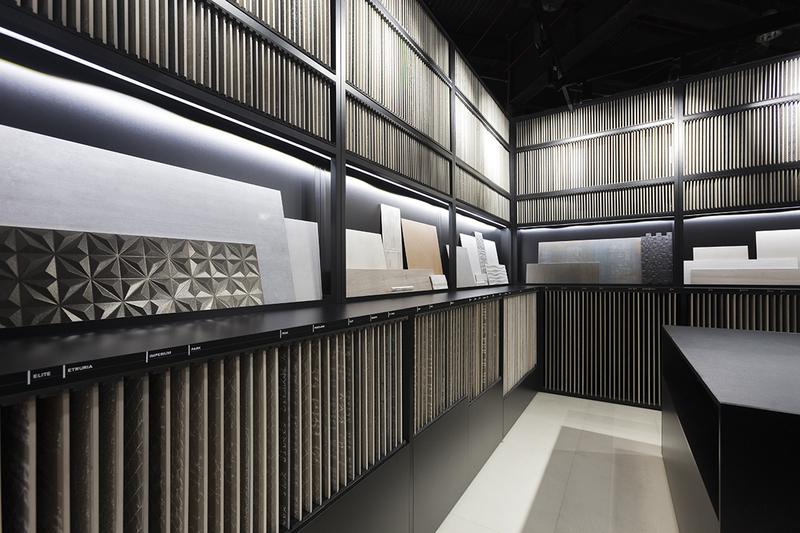 A square space with high shelves containing original tile samples and a central table to examine the pieces thoroughly.